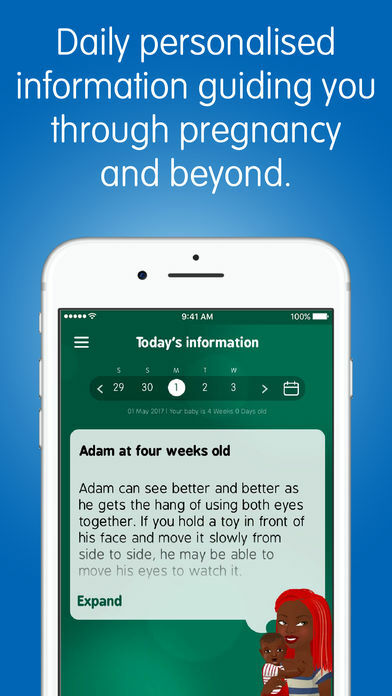 Baby Buddy, the award-winning app for parents and parents-to-be Baby Buddy is your personal baby support expert who will guide you through your pregnancy and the first six months of your baby’s life. 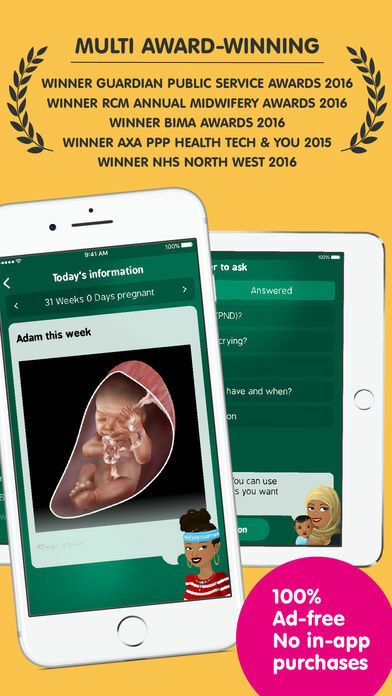 The app has been designed with parents and health professionals to help you give your baby the best start in life and support your health and well-being. 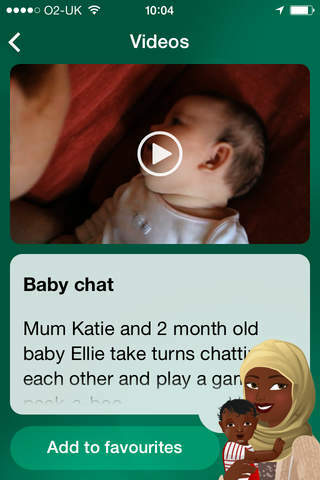 Baby Buddy is endorsed by the Department of Health, the Royal College of Midwives, the Royal College of Paediatrics and Child Health, the Royal College of Obstetricians and Gynaecologists, the Community Practitioners and Health Visitors Association, the Institute of Health Visitors, and the Royal College of Speech and Language Therapists. Personalised Pregnancy and Baby Tools: •	Ask me – type in any pregnancy question for your Buddy to answer with expert information • Today's Information – Baby Buddy provides you with personalised daily information about your pregnancy and baby. •	Videos – a growing range of clips to help you get your head around different pregnancy and baby topics •	Bump and Baby Around – a map of useful local health services such as hospitals, mothers and baby support groups, baby clinics, GP and midwife services. 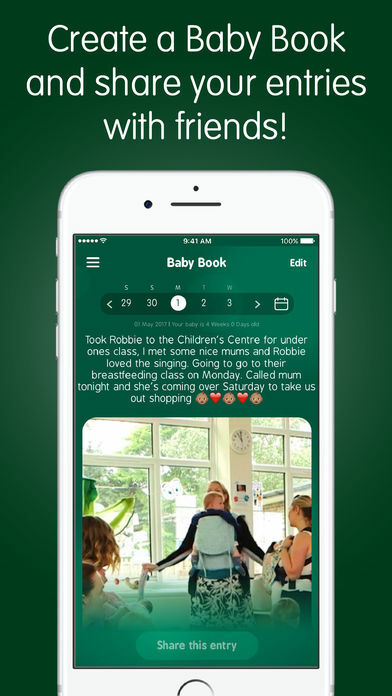 •	Bump and Baby Book – a diary where you can record your thoughts, feelings and photos throughout your pregnancy and after your baby is born •	Appointments – a handy reminder of the dates and times for your check-ups. •	Remember to ask – a reminder list for questions to ask at your midwife or GP next appointment • What does that mean? - Find the meaning of pregnancy-related terms •	You can do it! 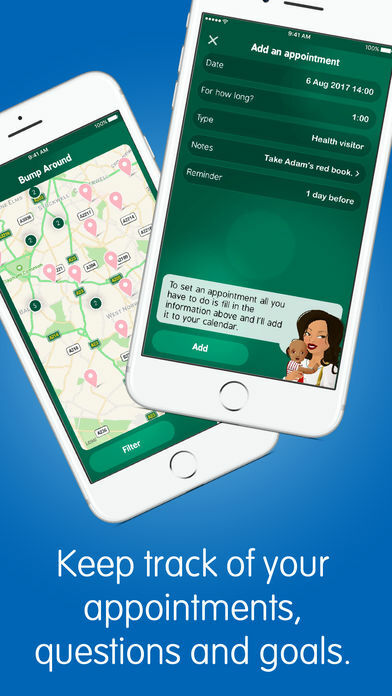 – a tracker for your personal goals and achievements •	Tell us what you think – where you can give us your feedback so that we can make the app even better Baby Buddy is designed to support all parents to look after their own and their baby's physical and mental health. Baby Buddy is featured in Better Births, supports the Maternity Transformation Programme and supports key public health priorities including maternal and infant mental health. We'd love you to help us make Baby Buddy even better. Your opinion counts. All you need to do is take a few minutes to complete three short in-app questionnaires that will appear after you have been using the app for a while. This will then also unlock a new outfit or accessory for you Baby Buddy! Baby Buddy has been created by the child health and well-being charity Best Beginnings with our development partners Despark. The app has been made possible thanks to funding from the Big Lottery Fund, the Tedworth Charitable Trust and the Guys and St Thomas’ Charity. Please make sure that you complete the three short in-app questionnaires that will appear after you have been using the app for a while. They only take a few minutes and once you’ve done them you’ll unlock a new outfit or accessory for your Buddy. 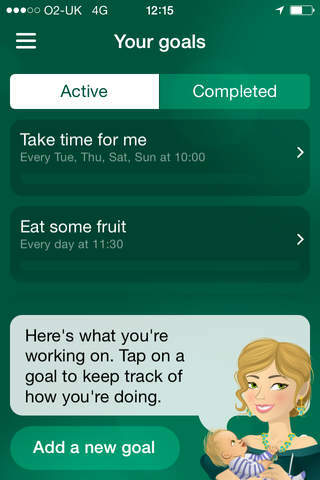 This information will help us to make the app even better for you and future parents and their babies.